Update your Naim kit with this brand new and cutting-edge mains cable that is brought to you by the same designers as the Uniti range. This is a must have for your Naim kit. 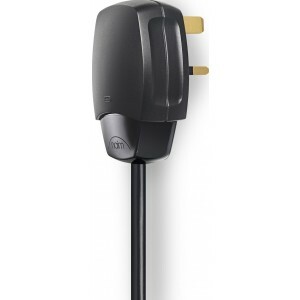 Naim Power Line Lite Mains Cable is a high-engineered mains cable and plug that has been designed in tandem with the brand's new Uniti range, so it's cutting-edge performance is guaranteed. The model builds on the design of the original plug to create a stellar audio link in your hi-fi set up. This mains cable showcases a superb thermostat resin case, a super glossy floating cable retainer, and brilliant electrical contact is ensured by the use of floating pins within the case. The Power Line Lite has replaced the earlier mains cable in all Uniti models, Classic range products, and Integrated Separates so is a crucial accessory for your Naim set-up. The music makes more sense. Everything is more intelligible. Fantastic design.